Build your own Intraoral Mirror / Retractor / Contraster / Mirror Warmer package and save! Purchase an assortment of 5 or more intraoral mirrors, retractors, Contrasters and the FogFree Mirror Warmer and save 10% on those items. Each mirror and each pair of retractors count as one item. The Soft Contraster Set, the Combo Mirror and the FogFree Mirror Warmer also each count as one item. The Universal Mirror Handle kit counts as 4 items. This 10% discount is ONLY available for intraoral mirrors, retractors, Contrasters and the FogFree Mirror Warmer - other products purchased at the same time will not be discounted. PLEASE NOTE: The 10% discount will not show in the shopping cart for online orders. We will apply the discount when the order is processed and the savings will be deducted from the total before the credit card is processed. 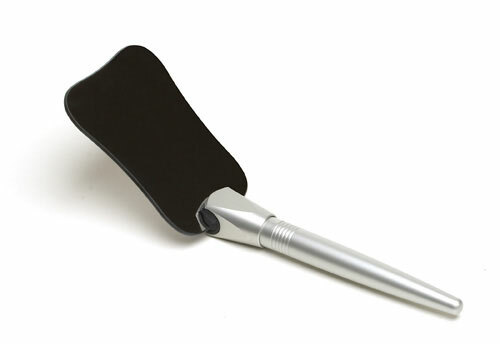 The Universal Mirror Handle is designed to work with most intraoral mirrors that have been made in the last few decades. You can position the mirror inline with the handle or the mirror can be angled (as shown above). There is approximately 35° of rotation to allow comfortable positioning for buccal and occlusal views. Unlike other handles on the market, our Universal Mirror Handle can be locked to hold the mirror at the angle you choose. 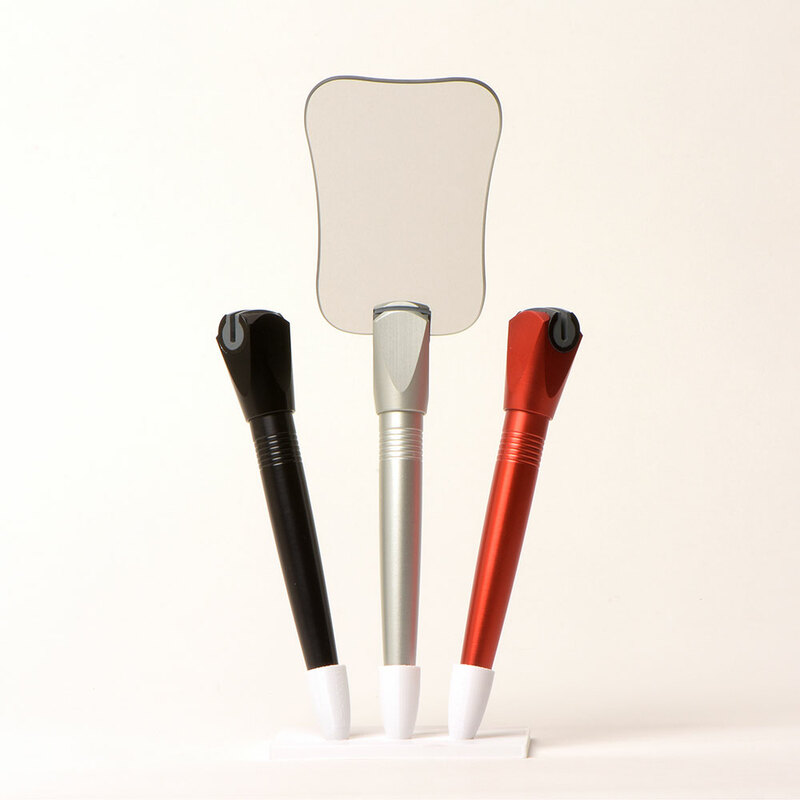 The Universal Mirror Handle is available in silver, red or black. 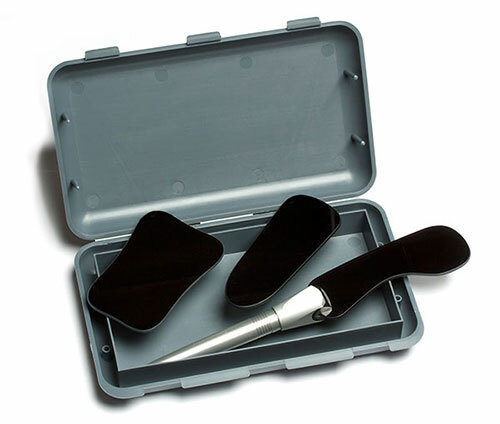 The Universal Mirror Handle is available individually to work with existing mirrors or in a kit that includes: (1) mirror handle, (1) adult occlusal chromium double-sided mirror, (1) buccal T1 chromium double-sided mirror and (1) lingual chromium double-sided mirror (kit shown above). Replacement mirrors are also available separately.